People who depend on their flashlights – often for their lives – count on them to perform every time. 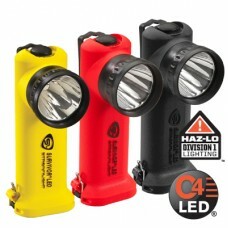 Streamlight Survivor flashlights are the most trusted right angle flashlight in the emergency services. The Survivor light is synonymous with right angled light. 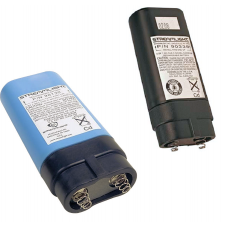 Streamlight’s Survivor series flashlights are available in many different models which makes it one of the most popular Streamlight flashlights. 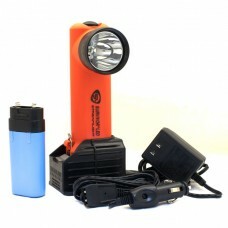 They are available as rechargeable flashlights, non-rechargeable flashlights, and models that operate either way. 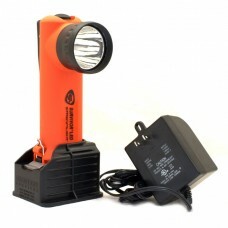 Trust Streamlight to perform in the most demanding conditions. STREAMLIGHT SURVIVOR® LED ALKALINE This model includes an Alkaline Bat..
STREAMLIGHT SURVIVOR® LED FAST CHARGE This model features a one hour auto-s..
STREAMLIGHT SURVIVOR® LED (without charger) Ideal for those that already have a Survi..
STREAMLIGHT SURVIVOR® LED STEADY CHARGE This model comes with a Steady ..